The iPanel is the natural evolution of one of our most popular designs. Elegant lines lend a modern feel to your rooftop, with all of the security, durability and aesthetic qualities you’ve come to associate with Metrotile roofing products. 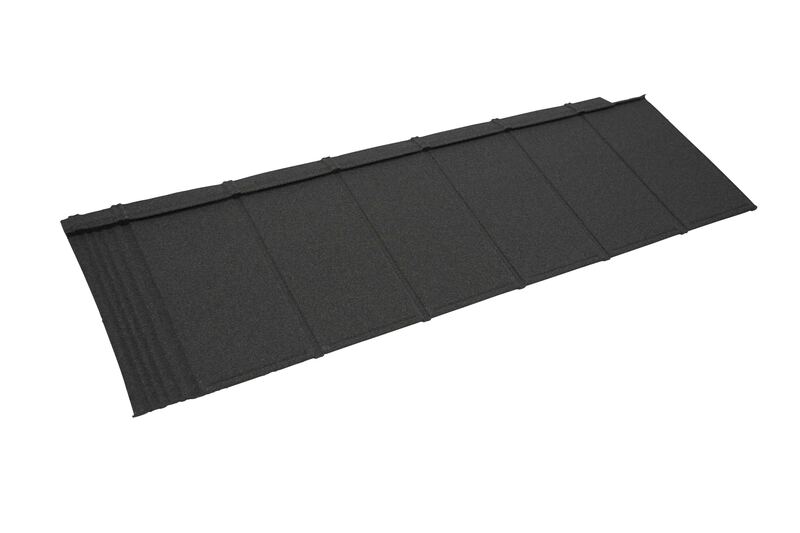 The Shingle profile has been a staple of the Metrotile product line, with the product’s hidden fix design proving the ideal solution to protect fixings from the weather and make Shingle as at home as vertical cladding as a pitched roof. With iPanel, we have taken the hidden fix feature an applied it to a profile that is a similar, larger size to the rest of our line, offering the best of both worlds. Elegant, straight angles will add a modern flavour to any rooftop while the option of any desired colour* ensures the perfect match, whatever the building project. The iPanel is backed by our Forty Year Weatherproof guarantee•• and offers unbeatable security and resistance to the elements, in addition to rapid installation times.